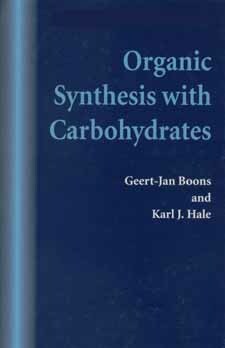 Carbohydrate synthesis handbook from C.H.I.P.S. Organic Synthesis with Carbohydrates provides a broad understanding of the use of carbohydrates in organic synthesis at the postgraduate level. Emphasis is placed on retrosynthetic analysis, with discussion of why a particular synthetic route has been chosen, and mechanistic explanations are provided for key and novel reactions. Wherever possible, points of general significance to organic synthesis are highlighted. Selected experimental conditions and reaction details are incorporated to ensure that information can be utilized in research. The book is extensively referenced.